Amulets, also known as talismans, have been used all over the world for thousands of years by people of all faiths to help protect them from evil and bad luck and bring things like good luck, health, happiness and prosperity. 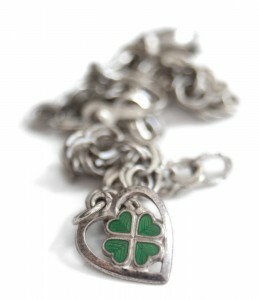 And we still use them today: horseshoes are placed over doorways all over the world, motorcyclists put gremlin bells on their bikes, and in the UK, brides place silver sixpences in their left shoes as wedding good luck charms. While some scoff at such behavior and brush it off as silly superstition, a recent study suggests that just believing in a good outcome can actually increase your chances of one. So if you want to wear your lucky shirt when playing golf, throw salt over your shoulder, wear a four-leaf clover charm, or carry a piece of jade around (a Chinese good luck charm), ignore the nay sayers and do it. It can only help. In ancient Egypt, amulets were everywhere – people wore them on rings, bracelets and necklaces, carried them around, and put them in the bandages of mummies to protect the deceased in the afterlife. In the Old Kingdom (3100 – 2181 B.C.E.) 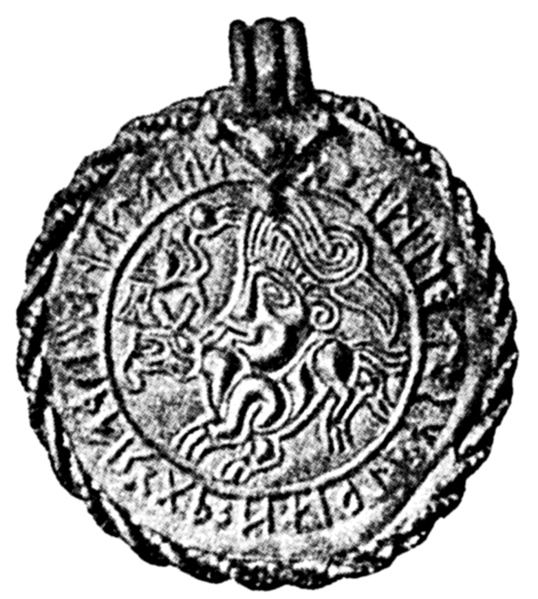 many amulets were in the shape of animals. The frog symbolized fertility, the lion ferocity and power. The most well-known amulet shapes from this period however, are probably the ankh and the wedjat-eye, or the eye of Horus, which was the most powerful of all the protective symbols. 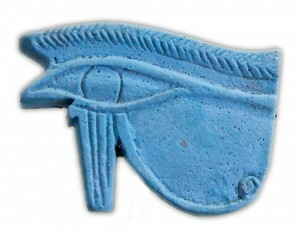 During the Middle and new Kingdoms, deities and scarab amulets (which represented rebirth) were among the most popular. There aren’t many descriptions of Egyptian good luck charms; one exception is the Nefer, which was placed on the deceased in order to bring good fortune in the afterlife. In ancient Greece, amulets were used to attract power, love, and wealth, but most commonly, they were used to cure illness and injury, often in combination with an incantation or prayer. Some amulets were inscribed with the incantation and worn as protection. Amulets as a cure for illness continued to be popular during the Roman Empire, especially inscribed ones. Old documents describe amulets being used for very specific ailments such as inflammation, migraines, infections, etc. Cornicello amulets, in the shape of a twisted horn (still used, and known today as Italian good luck charms), were used to protect the bearer from the evil eye. Ichthys, more commonly known as the Jesus Fish, were worn by Christians as a form of ID. On a side note, fish amulets have been used for thousands of years by people of all faiths. The fish has been thought to symbolize prosperity, success, fertility, birth and other good things. During the Migration Period, bracteates, thin coins with a variety of motifs, were popular in northern Europe. Images featured figures of Germanic mythology. pagan icons, and runic inscriptions, and they are believed to have been used for protection. In medieval Europe, amulets that protected the wearer from injury in battles were popular with kings and knights. In Scandinavia, large numbers of guldgubbar (meaning “little men of gold”), hammered gold amulets, have been found in various locations. Their usage is not certain, but some suggest that they were a tribute to travelers or the dead. 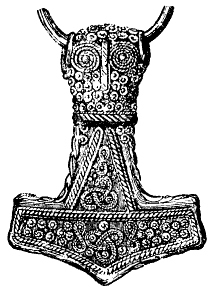 Pendants in the shape of Thor’s hammer “Mjölner”, the most powerful weapon in Germanic mythology, were hugely popular, and remain so to this day. In Thailand, Buddha amulets, blessed by monks, were and are very popular. You often see people wear several at once to help with all aspects of life. In India, amulets depicting animals were common, with the most popular being the tortoise. 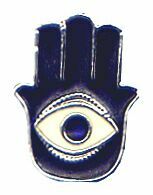 Goddess amulets and Hamsas (the hand that wards off the evil eye) were and are very popular. 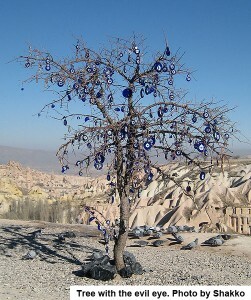 In Turkey, nazar boncuk – amulets protecting the bearer from the evil eye – are absolutely everywhere. People wear them, put them in their cars, in babies’ clothing, build them into the foundation of homes and office buildings, hang them in doorways, put them on websites, and even in/on airplanes. If one of these amulets is found cracked, it means it has protected its bearer and has to be replaced immediately. Omamoris are Japanese amulets made from a piece of wood and/or paper inscribed with prayers and/or the name of a god, and wrapped in cloth (the same word is also used for charms and talismans and means protection). They provide protection from a wide range of dangers and can be bought at shrines and temples all over Japan. It is said that opening the cloth makes the amulet lose its powers, and they should be replaced once a year. Many Japanese combine a New Year’s visit to a temple/shrine with buying their new omamori for the year. This was just a brief sampling of some of the amulets around the world. 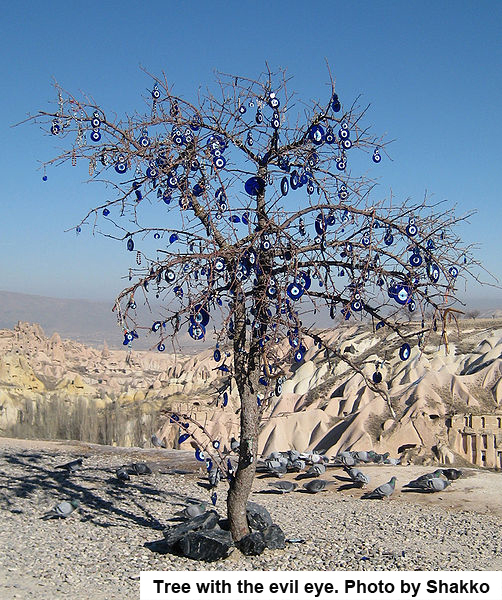 Each country, and indeed specific regions, have their own special talismans and items believed to have certain powers (don’t miss our “Charms, Amulets and Talismans in Other Languages post” if you plan to shop abroad). Regardless of whether one believes this or not, they do make pretty (and wearable) souvenirs. And if they work, all the better!